Is My Air Conditioner Broken Or Is My Zoning System Broken? "Customers That Live In Townhouses"
The majority of customers that live in townhouses have a zoning system. A zoning system has air flow dampers in your ducts. When the desired temperature of that area is satisfied, your dampers in your ducts close. When your cooling system is not working correctly, it does not mean that you need an ac repair. It may mean that you have a problem with your zoning system. Most companies that arrive at your home don't know that you have a zoning problem until they arrive at your home. We are going to give you a few tips, to help you figure out what kind of problem you have at your home, before placing a service call. 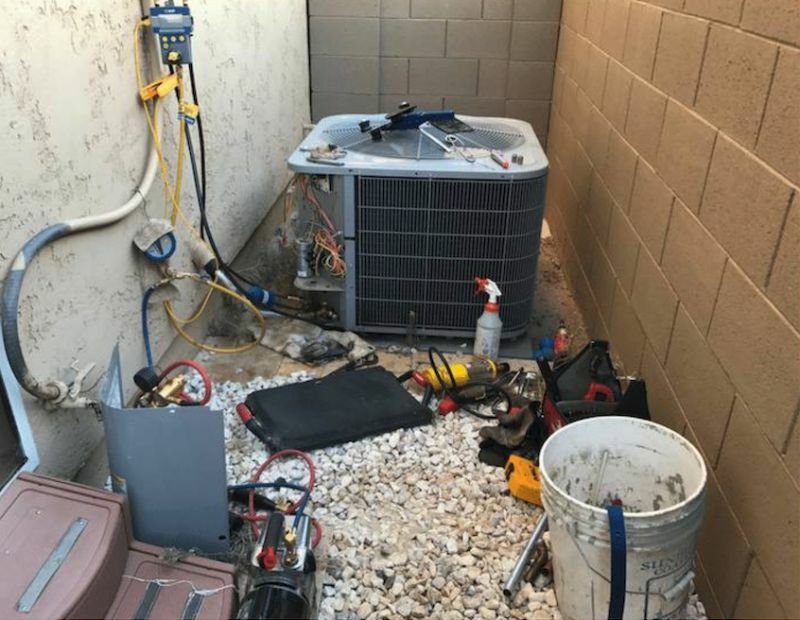 When the ac company dispatches the service technician to your home, the service technicians might not have the full experience on how to thoroughly troubleshoot a zoning system problem. Service technicians that don't have the full knowledge can cause the homeowner to spend lots of unnecessary money to correct this problem. The professionals that you need in a zoning problem are the installers that install them for a living. The installer knows how the whole zoning system works from A-Z. The most common type of zoning damper control system is in a three-story townhome. There is usually one condenser, furnace, and coil in the attic. People panic when one of the floors aren't cooling correctly. Just because one of the floors in your home isn't cooling, doesn't mean your ac isn't working. The ac equipment is cooling perfectly as long as one of the other floors are cooling. Knowing that you have a zoning problem in your home, you need to be patient, and have the right airflow specialist come to your home. Having the right technician is the key to zoning issues, the wrong technician can cost you thousands of dollars. You need to tell the company that I have a zoning problem specifically. The company then send an airflow technician specialist or installer to your home. You can sometimes get lucky and reset the system, by turning your breakers on and off. Rebooting your system sometimes work, and all your floors might start working again. When installing a zoning system in your new home, the architect & general contractor who designed the home plays a big part in the longevity of your cooling equipment. Correctly installing a zoned system are significant to your homes air distribution system. Unfortunately, many general contractors use zoning systems to cut construction cost as well. Another way the general contractor cuts cost is by installing a builders grade HVAC equipment in your home. 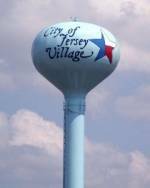 Let say the developer is building 50 new homes in a new community. By now using a zoned system they have found a way to save over $250,000 with only one a/c system. Instead, you should have two units in your home. Many builders get away with it, because these newer homes are insulated very well, and have airtight windows. Many homes that are insulated well can run on a smaller A/C unit, so the builder is now saying you have an energy efficient home. The concept works until a big heat wave comes. The small unit worked well, for the first 5 years. The unit is now five years old and doesn't have the same kick it once had. Builders grade HVAC equipment start to lose its performance after 5 years. That is why most equipment manufactures compressor warranties expire at 5 years. So now you have an undersized, builders grade A/C system, cooling a three-story townhouse. Your townhouse is now 5 years old, and you are wondering why your A/C unit is breaking down. It is a common problem where real estate developers are building, new homes at a low price. If you are in the market for a new home, It is essential to pick a reputable builder. Buying a new home from a quality builder can save you lots of problems down the road. Another problem with zoning systems is that the repairs can be expensive. Depending on the type of problem that you have, some parts might have to be special ordered. If your zoning system breaks down over the weekend, you could be without a/c for a few days. Why Do Some Air Conditioners Breakdown More Than Others? "Townhomes With Poor Outdoor Ventilation"
Real Estate is expensive in Houston Tx, and not many builders want to allocate much land for your air conditioning units ventilation. A common problem with many townhomes is the walls and wood fences around the HVAC equipment. The builder who built the townhome created this problem. It may feel like bad luck when your ac breaks down every year, but it's where your ac unit is located that's causing the problem. Well, how can I combat this problem? In most cases, you can't. Most townhomes only have a small space allowed for the air conditioning unit. Proper ventilation helps your ac unit run with less stress & more efficiently. Your outdoor unit removes all the hot air from your Houston Home. Without proper ventilation around the unit, the ambient temperature can reach over 115℉. The intense heat puts a massive strain on all the parts, including your compressor inside your air conditioning unit. This extra heat load can reduce 5 years of life away from your equipment. My AC Unit Keeps On Burning Or Melting Wires? Many people think that when air conditioning units start to melt wires its time to replace your ac unit. Many inexperienced technicians tell customers that its time to replace your equipment because it's burning out wires frequently. An air conditioner that steadily burns out wires can cause homeowners a headache. An experienced technician is your best solution when having electrical problems in your HVAC system. Performing required maintenance on your HVAC equipment benefits your equipment in many different ways. Your outdoor condensing unit contains a large radiator type coil that overheats when lint, grass, & dirt gets absorbed into the coil. 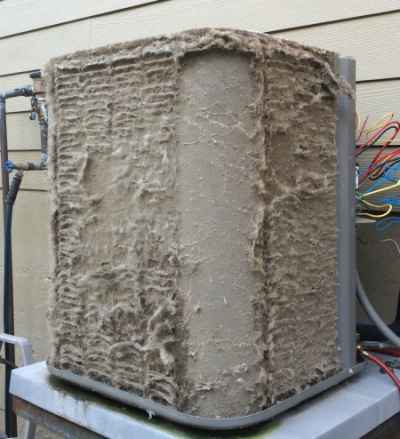 A dirty condenser coil can put a strain on the entire HVAC system, including your compressor & wires. Your air conditioner will begin to run on a higher amperage draw. 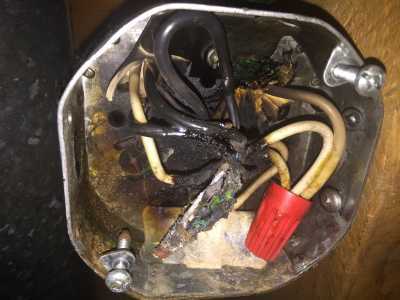 A Higher amperage draw causes many wires in your outdoor unit to melt & burn off. High amperage is felt from the compressor to your main breaker box & all the wires in between the walls. The oil in your compressor will lose its integrity and lose its ability to lubricate its spinning pistons. A blocked indoor air filter can increase your utility bill by as much as 30%. It doesn't help either if your air conditioner is old too. An old ac system in combination with dirty air filter can also cause your wires to burn out. Another negative would be low quality HVAC equipment. A high-quality air conditioning unit runs more efficiently, last longer, & are built stronger for the intense Houston & Harris County heat. The situation gets worse when the freon or refrigerant levels aren't appropriately charged. An undercharged or overcharged system adds additional stress to your wires in your HVAC system. Advantage #1: When one ac unit breaks, you still have the other unit cooling the other part of your Houston home. Advantage #2: Since you have two full systems In your home, your Houston home should get to the desired temperature faster. 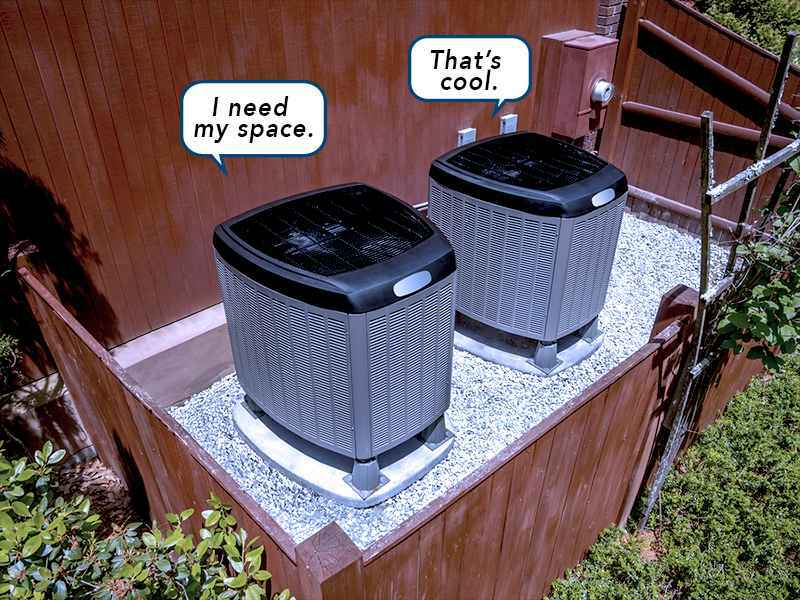 Advantage #3: Only cool the part of the home you need cooled. That will help you lower your Houston utility bill. Disadvantage #1 Many times when Houston customers have the same identical unit, they come out the same batch in mass production. If there was a problem in production, both of your units will come with the same manufactures defect. A common maufactures defect is when both units develop refrigerant or freon leaks within the warranty period. Disadvantage #2 Repair bill can be high if both units break down at the same time. Disadvantage #3 The Houston homeowner must do twice the maintenance. Disadvantage #4 Depending on the name brand of the equipment in your backyard. The better name brand equipment are quieter. However, when most units reach over 10 years old they all start to getting loud. Disadvantage #5 If you have a home warranty insurance or a service contract with another HVAC company, they will usually ask you if you have more than one air conditioning unit cooling your home. As long as you have one unit functioning in your home, they will not consider your situation to be an immediate emergency or provide same day service. Even if parts of your home are hot, or you have a birthday party at your home on Sunday. Many service contract companies can take a few days to service your A/C system, even if the whole family has to sleep in the living room. Side by side condensers produce twice the heat in the same area and quickly increase the surrounding air temperatures to over 100 degrees in the hot Houston Tx summer. The fences around them will also trap heat around them. In due time this additional heat can cause wires to melt. Side by side condensers are very common, but the excess heat from the other unit will put a toll on them. Thermostats can be broken down into three main categories. Battery powered, 24-volt common wire powered, and mercury powered. Most thermostat purchases are upgrades to their existing one. When upgrading a thermostat, you should already know what type of thermostat you need, before you purchase one. It's a good idea to check how many wires are coming to your thermostat before you buy one. If you only have four wires coming out to your thermostat, you should stick with a battery powered thermostat. If you have five or more wires coming out to your thermostat, you might want to purchase a smart thermostat. The most common thermostat to install is a battery powered thermostat. If you are a homeowner and trying to install a thermostat yourself, it should be a battery powered one. Honeywell & White-Rodgers are the name brands we highly recommend if you are buying a thermostat yourself. When you have a battery powered thermostat, there are only four wires that you need. The red wire is your main power wire. The yellow wire is your cooling wire. The green wire is your blower fan wire, & the last wire is the white wire, for your heat. If you purchased a smart thermostat, you could use blue wire as your common wire. Mercury thermostats are the classic old-fashioned thermostat. Many people still buy them, because they are cheap and easy to install. They swap out very quickly, and you don't have to have any technical experience to replace them. However, they are beyond obsolete. The biggest problem with mercury thermostats is that they are not 100% accurate when reading & sensing temperature. Digital thermostats have a pre-built time delay for compressor protection. Mercury thermostats don't have a built-in time delay. Built-in time delay has many benefits. It protects your unit from short cycling. Short cycling is when your unit comes on and off, too frequently. When your air conditioner short cycles you'll spend more on your utility bill, and your unit can break down more often. A/C Compressor Explosion, Caught On Video. Compressor explosions don't usually happen on new compressors. If it happens, it will be on much older compressor equipment . The compressor is the engine of your air conditioning equipment. It is responsible for pumping refrigerant gas throughout your whole A/C system. You have three main controls responsible for keeping your compressor operating at all times. The contactor switch is a high voltage device used to supply alternating current or A/C voltage to your compressor. The average contactor switch can usually last you for five years before it starts giving you problems. The contactor also powers your condenser fan motor. The condenser fan motor is what removes the heat from the condensing unit. The condenser fan motor is the second most important component in the outside unit. Some manufactures install a high pressure switch just in case your condenser fan motor fails. The high pressure switch will shut off your unit just incase your fan motor fails. 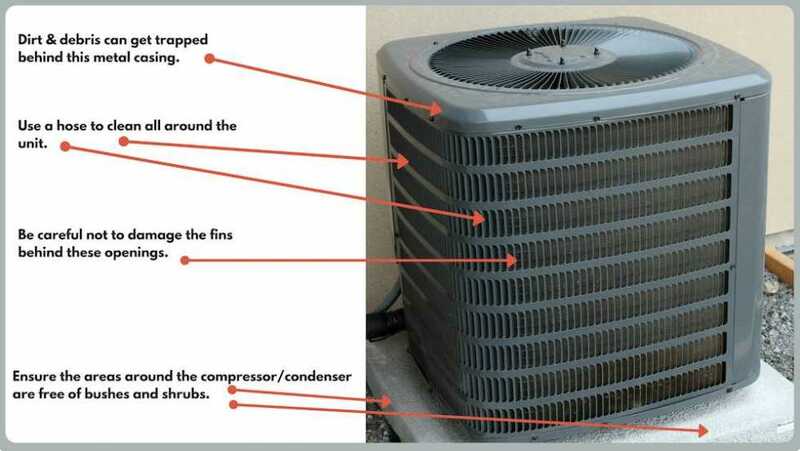 If your compressor runs for an extended period of time without the fan motor, you could damage the compressor. Condenser fan motors will usually give you a good six years before they start going bad. Need a reliable 24 hour AC repair that is also affordable? No sweat! We got your emergency AC repair needs covered within Houston, The Heights 77007 77008, Midtown 77004, Montrose 77006, Memorial 77079 77024, Galleria 77055 77056 77057, Bellaire 77401 77402, West University Place 77005, River Oaks 77019 77098 77027 77006, & other residential areas in Texas. Call us to find out more. 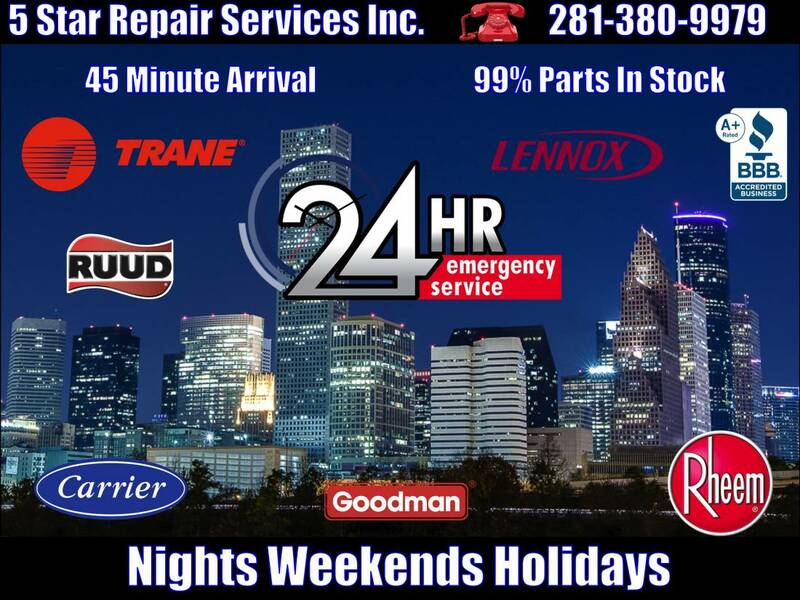 Are you looking for reliable and affordable 24 hour AC repair service within Houston, The Heights, Midtown, Montrose, & GalleriaTx? Have you experienced having a broken AC in the middle of the night, or needing an emergency AC repair on a weekend or holiday? 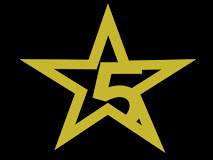 5 Star Repair Services Inc. is your best bet when it comes to quality services that deliver lasting results. 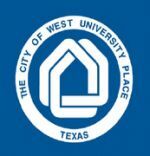 Our company services Houston, Heights, Midtown, & other nearby locations in Texas. We have a reliable team of 24 hour AC repair technicians ready to assist you the moment you call. They can even provide over the technical phone assistance at no additional cost. From AC installation to replacement services, you will consistently get the same quality and craftsmanship from our team of AC repair experts. You can count on us for affordable emergency AC repair services that are available every hour, 24 hours a day – including weekends and holidays. Another convenience in choosing us is our availability to serve many areas in Texas including Houston, The Heights, Memorial, Galleria, Montrose, & River Oaks. Give us a call if we can help you over the phone for free. Find out what makes us an A+ rating holder as a Better Business Bureau accredited company. Our 24 hour emergency AC repair services are not only affordable; they are also done promptly. Available in Houston Heights, Midtown, and other nearby residential and commercial areas in Harris County Texas. Here’s a preview on how we get the job done. For more information or to get in touch with one of our technicians for a phone consultation, give us a call, and we will immediately be available for you. When the unexpected need for ac repair Houston happens in the future, you know who to call – day, night, weekend, or holiday. A dirty condenser coil will cause your system to overheat, and compressor to work harder. Low on refrigerant will cause your compressor to overheat as well. An overcharged system will do more damage to your compressor than an undercharged one. Evaporators with a bad expansion valve can also cause a compressor to struggle. Compressor problems usually start with a tripped breaker. Some units will start right back up, with the reset of your breakers. Some units will keep blowing your breakers. If your unit is over 5 years old, and the unit keeps on blowing breakers, there is a good chance your compressor is shot. What Happens When A Compressor Is Overheated? Overheating problems occur when the oil in an HVAC system loses its ability to lubricate. If the heat is high enough the oil breaks down chemically. Now the generation of heat is a natural result of compressor operation. Motor heat, friction, and the heat of compression are all considered when designing a compressor. So if the compressor is kept within design limit no harm results, but extended periods of overheating can bring premature failure, not only to the individual compressor but to the entire HVAC system as well. Oil and refrigerant break down in severe overheating and create carbon and acids, which can cause harm throughout the entire air conditioning system. The most visible clue of severe overheating in a compressor is carbonized oil on the discharge reads, and the discharge side of the valve plate. Valve plates can get discolored due to oil breakdown. The same tremendous heating effect that caused this carbonization also weakens discharge reads so that they leak or break. Another clue shows up as fine iron particles in the oil. Since the hottest point in the compressor is at the discharge port, heat from this area conducts through the cylinder walls. The high cylinder wall temperature causes the oil to lose its ability to support a load, and a result is worn pistons, rings, and cylinder walls. This wear causes two major problems affecting compressor life. First, the fine iron particles left from this wear remain in the compressor oil and can clog the compressor oil pump screen. Which further decreases the available oil for cooling and lubrication of the bearing surfaces. Secondly, these fine iron particles may coat the end turns of the motor, and cause an insulating effect or physically cut the winding, causing a spot burn of the motor. Another visible sign of overheating damage is caused by worn rings and pistons, allowing gas to blow by the piston and pressurize the crankcase. Even with the crankcase ventilating system, the excess crankcase pressure, resulting from blow by, causes the oil return check valve to close. This will prevents oil from returning to the crankcase from the motor compartment. The visual indication of this is that the oil level drops during the run cycle, until the compressor cycles off on the oil safety control. When the compressor stops the oil level reappears in the crankcase sight glass. Finding any of these visual signs indicates that substantial damage has already occurred, and should signal you to make system changes to avoid a repeat of the problem. Overheating of the compressors is caused by four system problems. High compression ratios, high return gas temperatures, inadequate compressor motor cooling, and selecting the wrong refrigerant. The first cause of overheating high compression ratios is a direct result of operating a compressor at too low a suction pressure. Too high a discharge pressure, or a combination of both. For long life, any compressor should run at the lowest possible compression ratio. In low-temperature applications overheating is a predominant reason for failure. Suction pressure represents an area of system operation that an ac service technician has to take some positive action to control. Watch for undersized evaporators or oversized compressors. Check for plugged dryers to be sure a solid column of liquid can enter the thermostatic expansion valve. Set the valve to a minimum practical evaporator superheat recommended by the fixture manufacturer. Keep the pressure drop in the suction line to a minimum, and still maintain sufficient velocity for proper oil return. You can reduce discharge temperature faster, by raising suction pressure than by any other means. The other cause of high compression ratios is high discharge pressures. It can result from a variety of a/c system problems. All of which end in the condenser not being able to reject the heat from the refrigerant. Such things as a blocked condenser. Undersized discharge line, lack of sufficient condenser, air or water circulation, inoperative fan motors, overcharge, non condensables, such as air in the system, or having an undersized condenser can be the problem. In addition to high compression ratios being a cause of compressor overheating, suction lines which pass through hot spaces can cause excessive superheat on refrigerant cooled compressors. Proper Insulation of all suction lines outside of the refrigerated space, will help prevent this problem, The amount of air movement across the compressor is also critical. Air Cooled compressors require at least 650 feet per minute air velocity across the body, whenever the compressor is running. If there are no condenser fans to provide airflow, auxiliary cooling fans can be used. Refrigerant-cooled compressors operating at a suction pressure corresponding to a saturated temperature of zero degrees or below require at least 1,000 feet per minute of air velocity across the heads. Finally, you should consider the refrigerants you use, and their effect on discharge temperature. The use of R12 refrigerant usually presents no problem. R22 is a very poor refrigerant to use for low-temperature applications, and it is marginal for medium temperature applications below 10 degrees Fahrenheit. While R502 is easier to cope with, it is not immune to problems, if operated with excessively low suction pressure, or high return gas temperature. Since we know some of the causes of overheating and signs of damage. How do you check for the problem, before it causes damage? The answer is easy. Oil thins out at 310 to 320 degrees Fahrenheit, causing ring and cylinder wall wear. It breaks down completely at 350 degrees. To find out if you are in danger of overheating, you find the temperature of the oil on the cylinder walls, since you cannot measure these temperatures inside the compressor, you must take your measurement after it leaves the compressor. The temperature between 50 to 75 degrees less than the internal temperature when measured about 6 inches from the discharged service valve on the discharge line. That makes it simple. A measurement of 275 degrees on the discharge line, means that you have an internal temperature of 50 to 75 degrees hotter or 325 to 350 degrees, and represents certain failure. Likewise, 250 degrees on the discharge line represents a danger level, and 225 degrees represents the maximum temperature allowed for a safe operation because suction pressure has the greatest effect on discharge temperature. Remember that the system needs checking at the lowest load condition. This means using a temperature recorder, or a heat sensitive tape. As a last resort to save a compressor when all other changes are impossible or impractical, consider the application of a de-superheating expansion valve. This valve injects liquid refrigerant into the suction line and must be installed at least two elbows away from the compressor. The liquid flashes and cools the suction gas to a temperature that keeps the compressor from overheating. De-superheating valves are specifically designed for this application. Remember liquid injection consumes a little compressor capacity, but this is preferable to losing HVAC compressors periodically. 5 out of 5 stars. 350 votes.